The word Bollywood comes from Bombay and Hollywood – it was a term that came about in the 1970’s when the Hindi Film Cinema overtook America as the world’s biggest film producer. Based in Mumbai India the Bollywood industry is just a part of a larger Indian film industry. ViewLorium is happy to share 3 Bollywood movies with our loyal viewers, with a promise of more to come. This film was made in 2000 and is actually a bi-lingual film made simultaneously in Hindi and Marathi – the film was written and directed by Mahesh Manjrekar. The film won a National Film Award for Best Feature Film in Marathi in 2000. The film itself revolves around a happily married wife who suddenly inherits a large fortune and her puzzled husband is curious as to where the money came from. Astitva is a movie you can watch online for free through ViewLorium the issues in the film include extramarital affairs, chauvinist protagonism, and spousal abuse. It’s about a woman who is desperately trying to find an identity that is separate from her marriage. The movie stars Tabu, Scahin Khedekar, Mohnish Bahl, Ravindra Mankani, Smita Jaykar, Sunil Barve and Namrata Shirodkar it runs for 109 minutes. The other Bollywood movie you can watch online for free is KASME VAADE – this movie was made in 1978 and is a Hindi film directed and produced by Ramesh Behl and it was declared a *semi hit* by Box Office India. 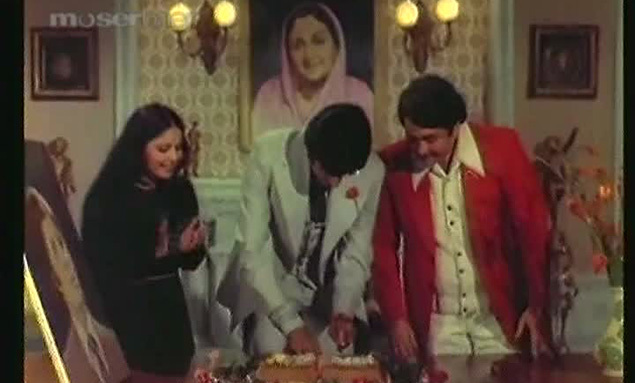 The film stars Amitabh Bachchan, Raakhee, Neetu Singh and Amjad Khan. The story revolves around Suman and Amit who are in love and plan to marry. Amit lives with his brother Raju who is unemployed and quite spoilt by his brother, when Raju gets into trouble and Ramit tries to help he is killed. Suman is heartbroken and as a result wears the clothes of a widow vowing to never marry. A look-alike of Amit named Shankar arrives, Amit who is guilt ridden over Amits death thinks he has his brother back and tries to make amends not knowing that Shankar is a wanted criminal who is looking for a way to escape capture. The film’s storyline was so popular it has been remade 3 times in different languages – in 1980 titled *Chesina Basalu* in 1988 titled *Dharmathin Thalaivan* and again in 1986 as*Nawatha Hamuwemu*. It just goes to show what a popular storyline Kasme Vaade was. You will find free streaming of movies through ViewLorium that come from Bollywood often contain song and dance numbers, comedy, tragedy, and love triangles and like most American movies have romance, angry parents, sacrifices, good Vs evil and reversals of fortune. *Bollywood* has been making movies since 1913 and it looks like there will be no stopping them! If you love to watch movies online and you love action movies – ViewLorium has you covered. At ViewLorium we not only love movies we love action movies and we are happy to provide some of the best heart pumping, edge of your seat action movies out there. Watching movies online is fun, simple and at ViewLorium we make it so easy! It was released in 2010 and starring Cody Deal as Thor and Richard Grieco as Loki, Almighty Thor is the classic story of good VS evil. When Loki – a demon God wipes out the city of Valhalla to steal the Hammer of Invincibility it’s up to the young Thor to recover the cities from Loki’s evil. A Valkyrie named Jarnsaxa (played by Patricia Velasquez) attempts to train Thor to fight following the death of his father and older brother. Thor now must forge his own fate to recover the city and reclaim the hammer from Loki. It was released in 2010 starring Scott Valentine, Meredith Baxter and Lindsey McKeon. When the president of the United States realises that domestic terrorists have hijacked a passenger jet that her brother is flying on she is faced with 2 choices, the safety of the cities below, or the safety of her brother. This is the modern adaption of the classic novel – the captain of a high-tech submarine on an obsessive quest to kill the giant whale that maimed him. Released in 2010 it stars Barry Bostwick as Captain Ahab, Renee O’Conner as Dr Michelle Herman and Matt Lagan as Capt. John *Bommer* Enderby. It is a hot action/sc-fi movie released in 2009 and stars Brian Krause, Heather McComb and Najarra Townsend. 2012 Super Nova is the story of a scientist racing against time to place a shield between the earth and the blast from a super nova. He also has to deal with attempted sabotage from a doom cult believing this to be God’s will who want the earth consumed by the intense radiation the Super Nova will bring. You can watch movies online and free TV series online all through ViewLorium – if you love action – what are you waiting for?